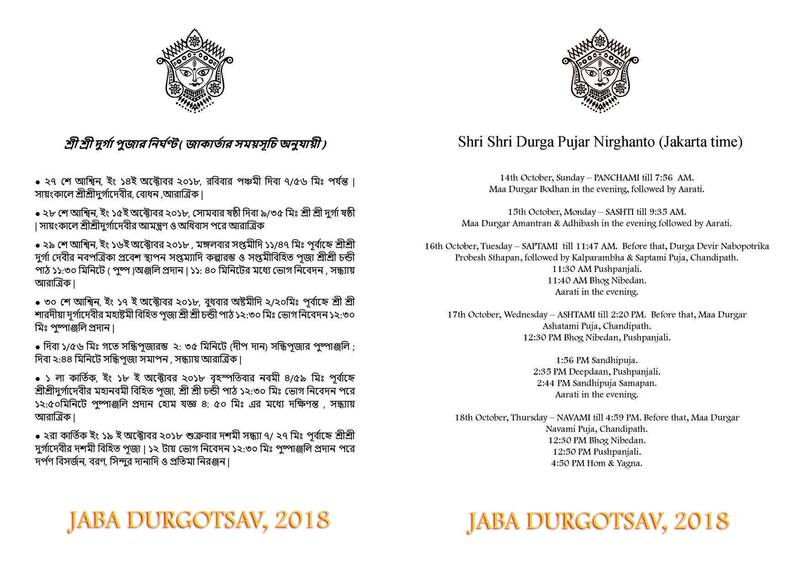 Jakarta Bengali Association’s Durgotsav 2018 at Shiva Temple Pluit from 15th to 19th October. Please come and join with us to celebrate Durga Puja 2018 together. Contribute your valuable time, your talent and of course don’t forget to give us your contribution. For more detail please mail at [email protected]. Kindly note the puja, pushanjali, sandhi puja etc. timings below. We look forward to your participation in the event.